Nestled on over 600 acres of lush tropical landscaping just two miles from Walt Disney World. Mystic Dunes Resort and Golf club offers a relaxing tranquil retreat of spacious accommodations and a wide array of amenities and services in an atmosphere of gracious hospitality. 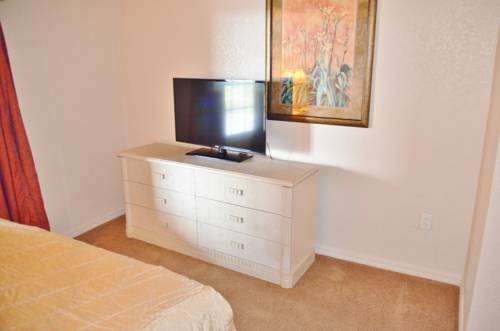 Our condo-sized vacation villas are well appointed with all the comforts of home including fully equipped kitchens spacious living and dining areas Oversized Soaker Tubs large screen TVs washers-dryers high speed internet service and more. Enjoy a variety of Family-Friendly amenities and services. Walt Disney WorldBuilt on one of the highest elevations in the area Mystic Dunes Resort Golf club is nestled on over 600 acres of rolling hills lush Florida nature preserves and beautiful tropical landscaping. Close to the fun yet far from the crowds the resort is located just minutes from central Floridas major attractions including The Walt Disney World Resort Universal Orlando and Sea World Orlando providing a tranquil relaxing retreat in a friendly environment of gracious hospitality.